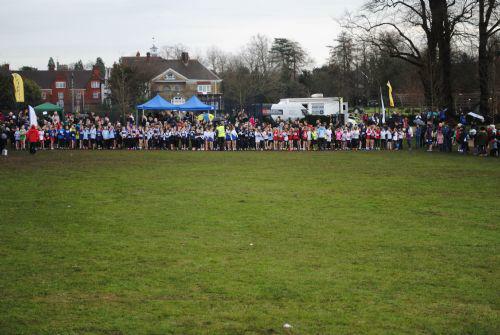 For the second year running Meath Green Junior had a sizeable team entered into the Surrey Primary Schools Cross-Country Championships, held at Priory Park Reigate on Saturday 18th January. 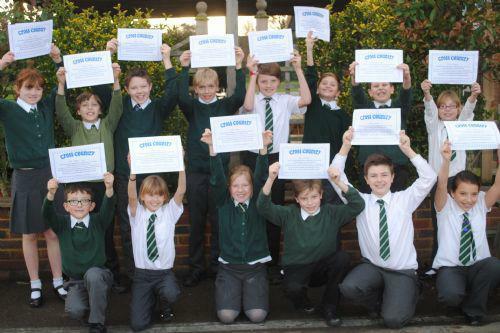 A total of 15 MGJ’ers from years 4, 5 and 6 took part in their respective age and gender related races. Conditions were wet, slippery and above all muddy, just like cross-country should be, but despite the conditions all 15 finished their race with not one of them being seen to stop and walk, and with all of them achieving excellent times. For the second year, the most successful Meath Green runner was Libby Bance, who finished a highly creditable 6th in her race and by so doing qualified for participation as part of a Surrey-wide team later in the year. Thanks to all the parents and friends for transporting and supporting their children, to Mrs Whitmore, Mrs Ledwich and Miss Ledwich for organising the Meath Green Team, but most of all to all 15 runners who without exception should be immensely proud of their achievement that morning.